During the March 26 girls water polo game, sophomore Sophie Arceneaux looks to pass to a teammate down the pool. 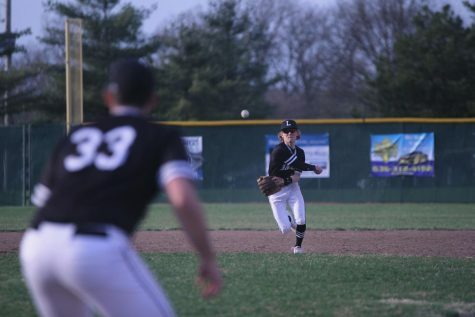 Baseball: The Lancers opened their season with a 5-1 win on March 26 against Francis Howell and a 5-4 win on March 27 against Fort Zumwalt South. On March 26, senior Jack Schmitt and sophomore John Kramer pitched a combined no hitter in the Lancer’s win. 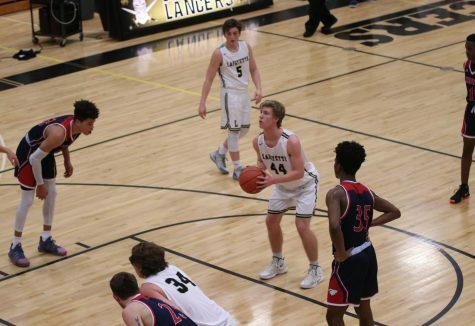 The Lancers will take on DeSmet on April 4 at home at 4:15 p.m. 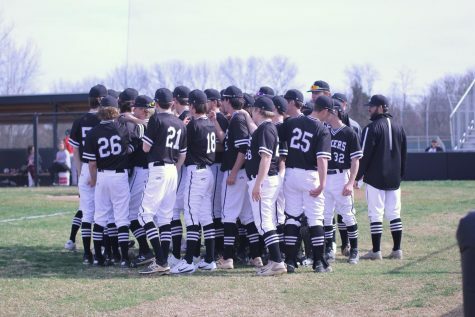 The baseball team gathers before the first inning of the game on March 27 to discuss strategy. Boys Golf: On March 28 in the Greg Bantle Memorial at SLUH, the Lancers placed fourth out of 16 teams. Senior Max Kreikemeier tied for first overall with a one over par 72, and junior Geoff Ladue tied for eight place with six over par 77. 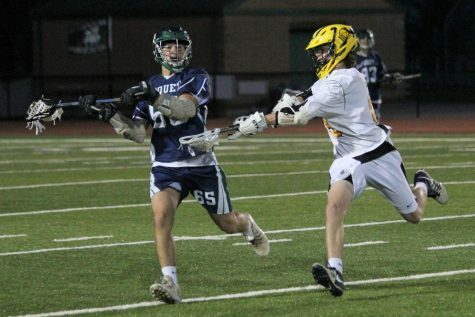 Boys Lacrosse: On March 27, the Lancers defeated Fox 20-7 to move to 2-2 on the season. In the win, senior Quinn Miller scored 4 goals, senior Jack Politte scored 3 goals and junior Anderson Lohr scored 4 goals. 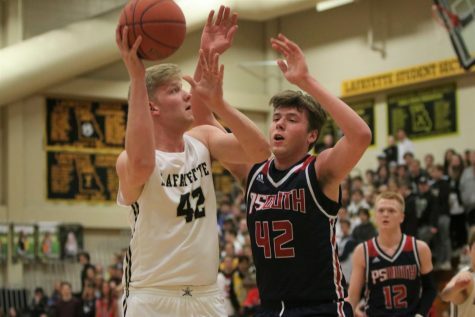 The team’s next game is on April 4 against DeSmet at 6 p.m. Boys Tennis: The Lancer’s first matches of the season are on April 2 at Parkway West at 4:30 and on April 3 at Eureka at 4:30 p.m. Boys Track: The Lindbergh Invitation on March 30 was cancelled due to inclement weather. The boys track team’s next meet is on April 6 at the Northwest Cedar Hill Invitational. 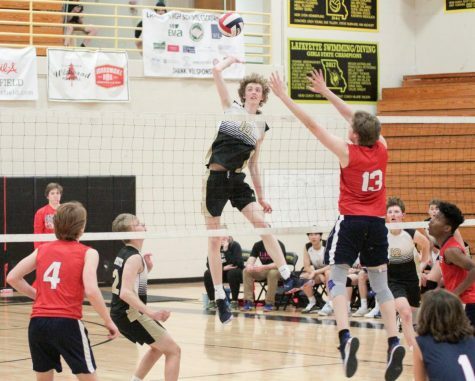 Boys Volleyball: At the Wheaton-Warrenville Tournament on March 29-30, the Lancers went 2-3. 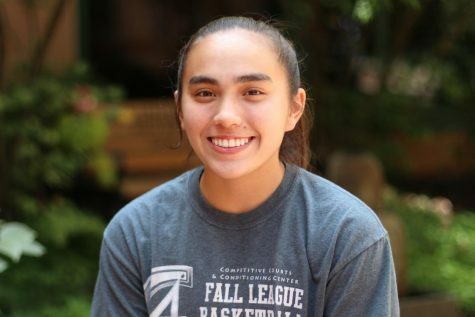 The team defeated Brother Rice and Addison Trail, but they fell to Hilliard Darby, Lake Park and Lincoln Way. The team’s next games are at home on April 2 at 5:30 p.m. against Parkway South and on April 3 at 5:30 p.m. against Parkway West. Boys Water Polo: At the Pattonville Invitation on March 28-30, the boys water polo team went 1-3. They defeated Pattonville 16-5, but they fell to CBC, Ladue and Marquette. The team’s next game is on April 4 at 5:25 p.m. against Kirkwood at Ladue. 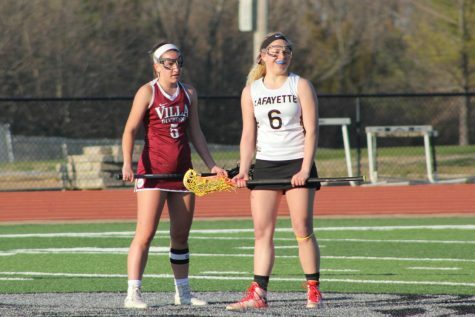 Girls Lacrosse: After defeating Villa Duchesne 13-3 and Kirkwood 14-9 to start the season, the girls lacrosse team traveled to Memphis, Tennessee for the Memphis Tournament where they went 3-0. 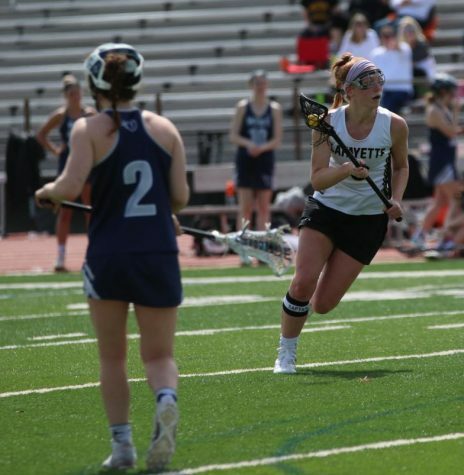 Sophomore Sophia Scheller leads the team and the St. Louis area with 27 goals and 35 points on the season including 10 goals in the Lancer’s win against Kirkwood. 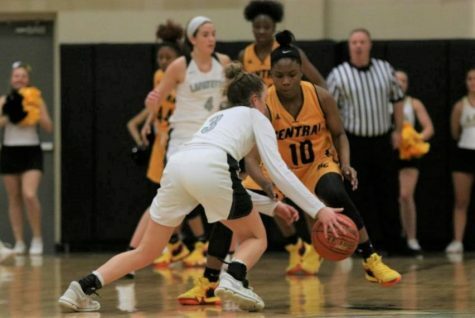 The team will take on Parkway West at home on April 2 at 5:45 p.m. On April 4, the girls will travel to Eureka to take on the Wildcats at 4:30 p.m. In the girls lacrosse teams season opener, Sophia Scheller waits for the play to start. Scheller had two goals in the Lady Lancers 13-3 win over Villa Duchesne. Girls Soccer: The Lady Lancer soccer team kicked off their season on March 26 with a 2-1 win over Incarnate Word. The girls soccer team also defeated Oakville on March 28 3-0, but they fell to St. Dominic 3-0 on March 27. Thus far into the season, the team is led by two underclassmen: sophomore Brynn Jeffries and freshman Rylee Howard. Howard leads the team with five goals and 12 points on the season while Jeffries has scored two goals and four points. 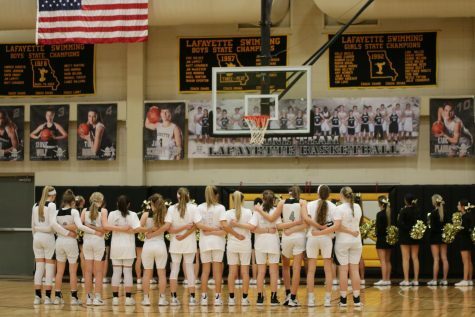 This week, the Lady Lancers have a home stand and will take on Borgia on April 2 at 4:30 p.m. and Lindbergh on April 4 at 6 p.m. Girls Track: At the Parkway/Rockwood Meet at Parkway Central on March 29, the Lady Lancers were meet champions. 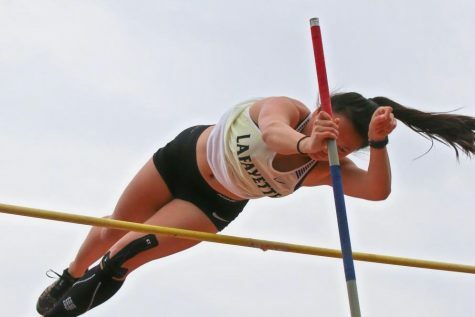 Senior Ellie Schilling set a school record 11′ 1′ pole vault to help the team claim the title. Seniors Brittany Hawthorne, Haley Hudson and Anna Karner, junior Grace Kirtley and sophomores Kelsey Johnson and Hope Ware also placed first in their events to help the Lady Lancers place first at the meet. 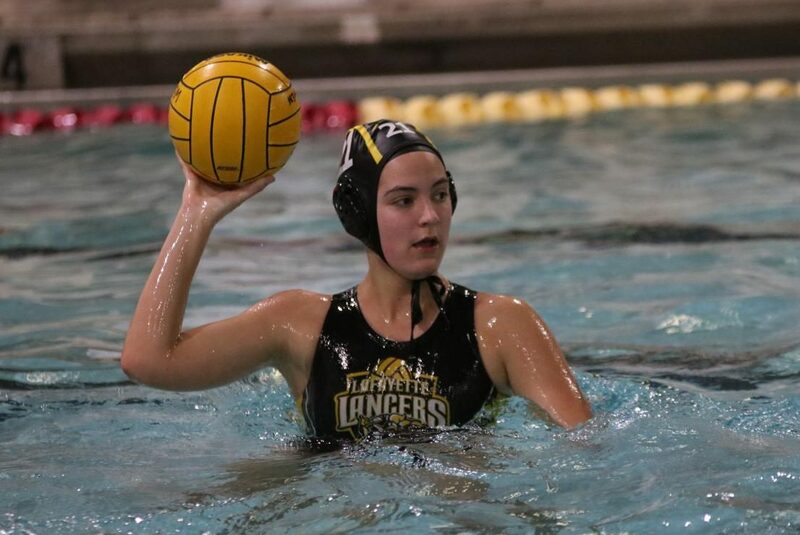 Girls Water Polo: In the first girls water polo tournament in Missouri history hosted at LHS on March 30, the girls water polo team went 2-1 in the tournament and finished third overall. Junior Chloe Baker and sophomore Sophie Arceneaux each scored 9 goals in the tournament.